It’s a home buyer's worst nightmare: you purchase a seemingly normal family home only to find out it is riddled with hazardous loose fill asbestos. This might sound like an unlikely scenario, but across Australia an increasing number of recent homebuyers are finding asbestos in their newly purchased home. As a result, forensic house demolitions are on the rise across the country. One such unlucky homebuyer is Stuart Reese, who purchased his home at auction just over a year ago. Everything seemed fine until Stuart decided to renovate and came across dirty old insulation falling from the ceiling. At first he didn’t think much of it, after all dirt and dust are just part of renovating, but a couple of weeks later he realised what he had come across was actually loose fill asbestos. Stuart Reese got more when he bargained for when he bought a house riddled with loose fill asbestos. Also known as ‘friable asbestos’ or ‘Mr Fluffy’, loose fill asbestos is the most dangerous and hazardous asbestos building material. Unlike other more contained asbestos products, such as fibre board cement, loose fill asbestos is easily airborne and therefore easily inhaled. 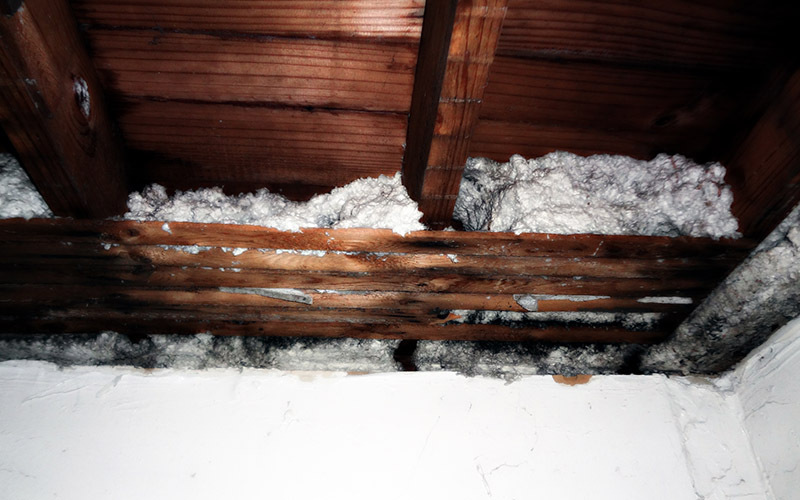 Found in ceilings and roof cavities, loose fibres from friable asbestos can move to other parts of the home, especially if the friable asbestos is older and has begun to crumble. It's called 'loose' fill asbesbtos for a reason! Loose fill asbestos is fairly uncommon, mainly seeing use in colder parts of the country, such as the outer suburbs of Canberra. But, as Stuart’s case proves, the hazardous insulation product can still be found in Sydney homes built in the 1960’s and 70’s. If you do find loose fill asbestos in your home unfortunately the only viable option is to remove the asbestos then demolish the property. Simply removing the offending asbestos is not enough as contaminants can linger, so to ensure a safe environment the home must be carefully stripped of asbestos, demolished and then the soil must be tested for asbestos. It might start in the roof, but loose fill asbestos fibres can easily migrate to other parts of the home. For Stuart, the process of ensuring his property is asbestos free has only just begun. Although he was able to demolish the asbestos ridden property, he must continue to get the property tested every ten years to ensure no asbestos degradation or contamination has occured. As always, it is important that any asbestos products are removed by licensed professionals and disposed of in a legal and safe manner. Five Unexpected Places Asbestos Could Be Hiding In Your Home.